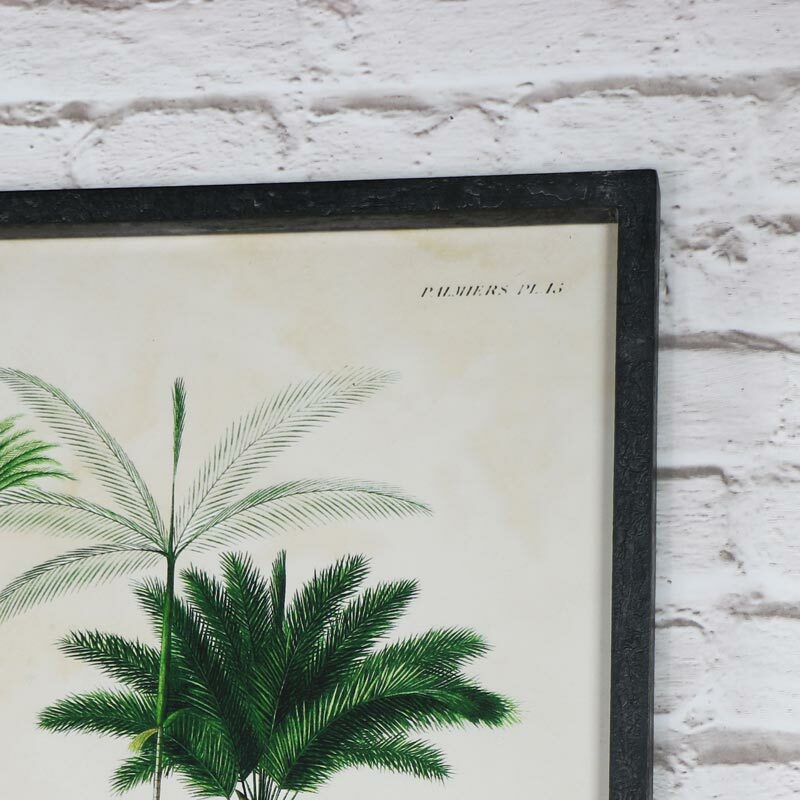 Pair of botanical wall mounted palm tree prints. 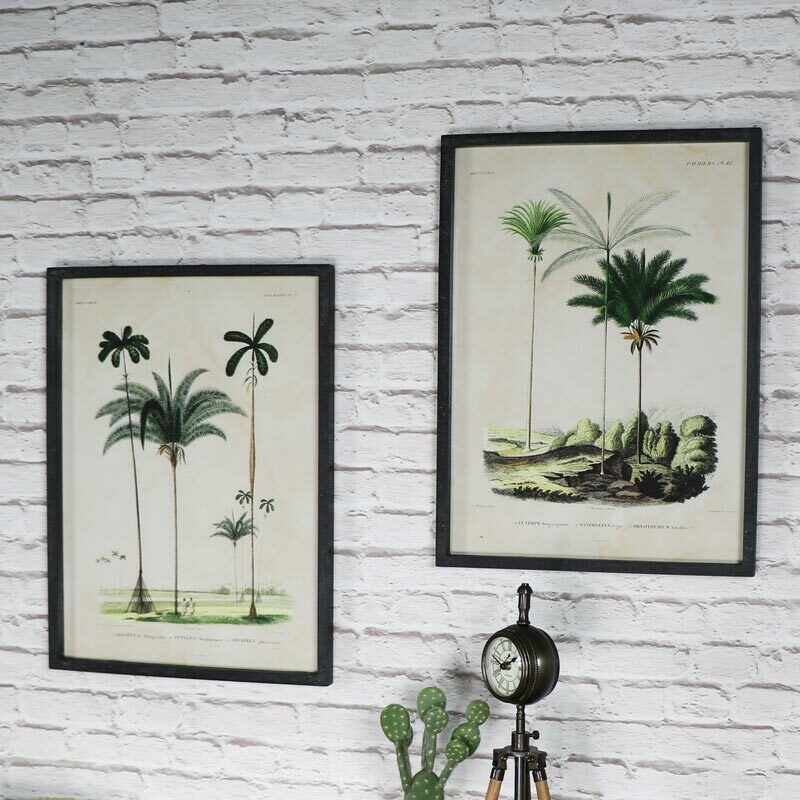 This set of 2 pictures featuring palm trees in a vintage look is bound to bring the tropics home as well as adding some vintage style to a room. With each print showing a different scene, both in a vintage style and give the appearance of age. Wall mounted with black wooden frame, this would look stunning hung in the living room or hallway. 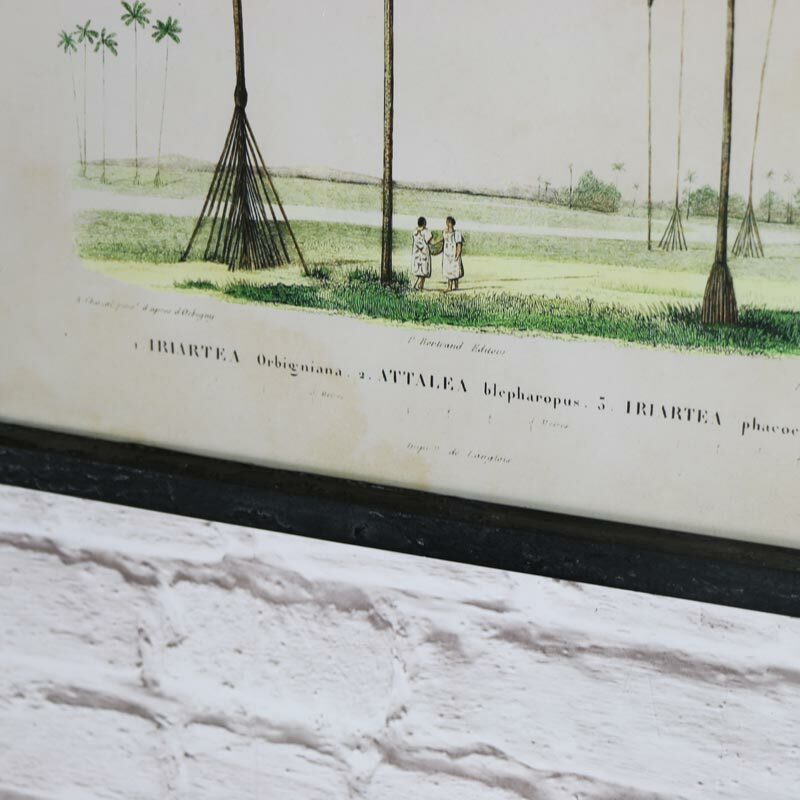 A perfect gift idea for those explorers or anyone that just loves the vintage style as much as we do! Vintage, aged prints in a set of 2. Wall mounted in black painted frames. We have a wonderful range of gifts and home accessories for you to browse through. Whether you're looking for the perfect present for family, friends or a treat for yourself, we have something for everyone.